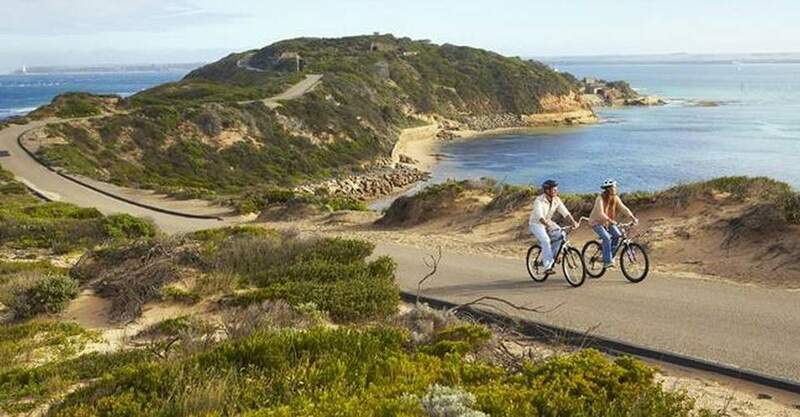 Victoria’s Mornington Peninsula is a hive of activity when it comes to kids’ entertainment; expanses of lush greenery and spectacular coastline make for some awesome adventuring, sightseeing and big-time energy burning. Here are six of our favourite things to do with the kids on the Mornington Peninsula. Pack for the day, people! Get ready for some serious sightseeing – and leave your fear of heights at home! 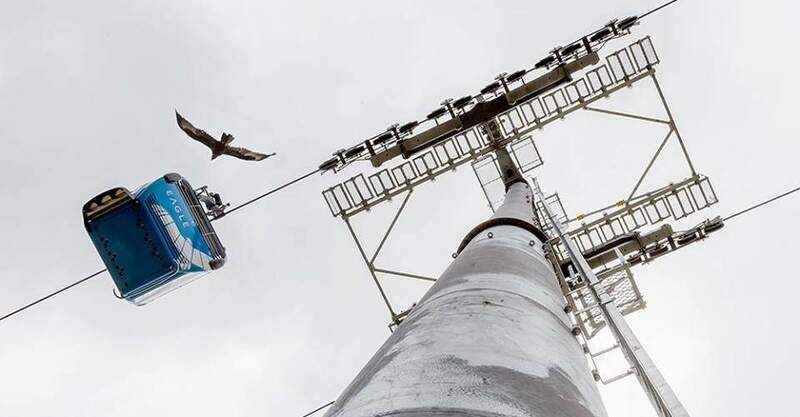 Launched in late 2016, the state-of-the-art Eagle at Arthurs Seat is an all-age gondola adventure that deserves a place on your to-do list with the kids. Passing over the spectacular state park of Arthurs Seat, The Eagle skylift ride gives you a view of the peninsula you’d be hard pressed to see any other way. The gondolas (or cabins) are built to operate in all weather, and they are pram friendly. The Eagle Café serves up some yummy fare at the Summit Station, and there is also a kiosk at the Base Station selling hot and cold snacks and drinks. The rides take around 14 minutes each way, and are available between the hours of 10am – 8pm December – March, and 10am- 5pm April – October. 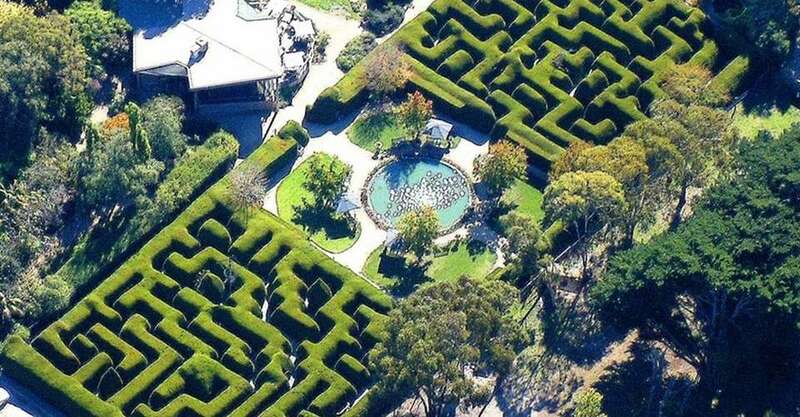 One of Victoria’s most well-known mazes is still around and better than ever. It now reaches heights of three metres and is around 2 metres thick – that’s a serious hedge! Better still, in maintaining the hedges no string lines are used; the hedge retains an organic, bushy effect that is oh-so-inviting. Once inside Ashcombe Maze, the aim is to locate each of the four flags scattered around both halves of the maze. While it’s not overly difficult, it takes some time and is tonnes of fun. The Great Gnome Hunt is a hands-down favourite for kids where they have to locate each of the cheeky gnomes hidden around the gardens. There are also guided tours available through the lavender farm as well as – wait for it – lavender tastings! Lavender ice cream, lavender shortbread…need we say more? The site is open from 9am – 5pm every day, and bear in mind that you can’t bring picnics to this one, so allow some time to pop in at the on-site café. This beautiful family-run fruit farm, full to the brim with delicious berries, is the product of generations of hard work – and we can only thank them for it. Sunny Ridge is the perfect place to take the family for a day of wholesome farm goodness. Sunny Ridge grows strawberries, blueberries, raspberries and blackberries, and family picking makes for loads of fun, laughs, and a few strawberry stains – so no best-dresses for this one. Just try to walk past the well-loved Sunny Ridge dessert café without being lured in by the goodies inside! It’s nigh on impossible. 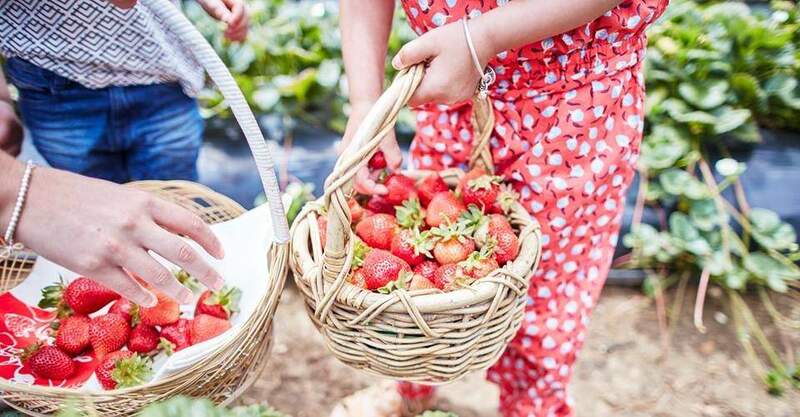 Sunny Ridge Strawberry Farm is open seven days a week from 9am – 5pm. Fruit picking winds up at 4:30pm and everyone who enters the farm must purchase a punnet of strawberries. 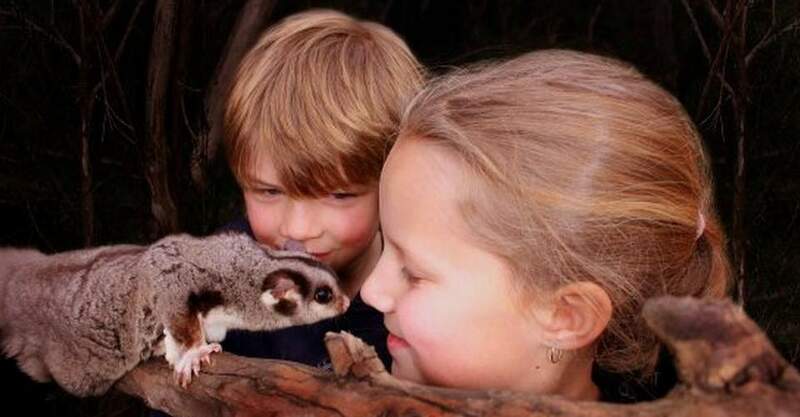 This award-winning conservation park is set on a massive ten hectares of lush bushland and is home to some of the cutest, cuddliest and most fascinating creatures around – including some endangered species. At Moonlit Sanctuary you can feed kangaroos and wallabies by hand, or even score a delicious hug from a resident koala. There are loads of spectacular birds to visit, including the critically endangered Orange Bellied Parrot. But the park’s point of difference (and its name) comes from the amazing night encounters on offer. Lantern-lead tours take visitors through the natural setting to check out the owls, possums and other nocturnal friends. A one hour drive from Melbourne’s CBD, Moonlit Sanctuary is open from 10am – 5pm every day except for Christmas. Night tours run from 7pm (or 8:30pm during daylight savings) and bookings are required. This adventure-packed attraction isn’t an award-winner for nothing. The home of Tree Surfing, Enchanted Adventure Garden is HIGH fun for all ages. 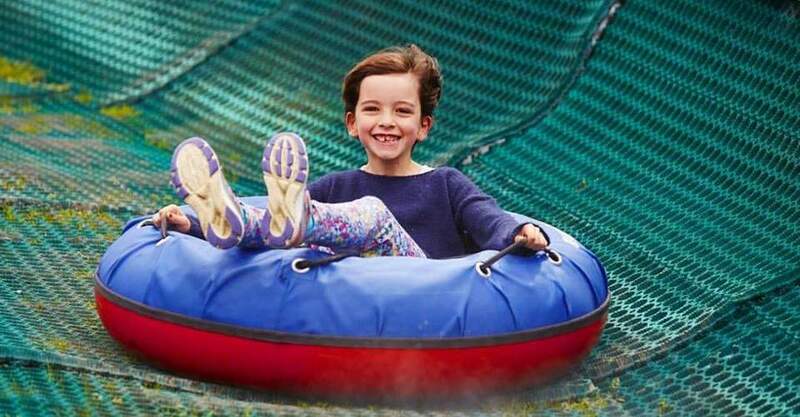 There are ten activities in total at Enchanted Adventure Garden: manicured hedge mazes, tube slides, bush adventures, a 3D spooky Maze, a breathtaking canopy walk – and more. And, if all that climbing, surfing, clinging, balancing and adventuring isn’t enough for you and the kids – there just happens to be a pretty cool lolly shop on-site too. Allocate an entire morning or afternoon (or both) to this one – there is heaps to do, and plenty of facilities available for recharging between activities. Enchanted Adventure Garden is open every day of the year except Christmas day. Cost: General admission: Adults $29, Children $19. Tree Surfing is $39 for Tree Surfing Nippers (children) and includes general admission to Enchanted Adventure Garden. Got little adventurers on your hands? Do they have energy to burn? Then a day trip to Point Nepean National Park is just the place to let them run it off while learning a bit along the way. This renowned park, located right at the tip on the Mornington Peninsula, is also home to Fort Nepean and comes with plenty of military history, cool tunnels and old-school army gear to check out. Point Nepean National Park is often included as part of Parks’ Victoria’s Junior Rangers program, where children and their parents can attend FREE guided tours by local rangers during school holidays and weekends. Check out the Junior Rangers website for more information. The park itself provides hours of great walking, biking, and picnicking and it’s open to the public every single day at no cost. Bikes are available for hire from the information centre.